Today is Rare Disease Awareness day. Cystic Fibrosis is a Rare disease, as only about 30,000 in the US live affected by this disease. The purpose of this day is to raise awareness and rally support for some of these rare diseases. Check it out - http://www.rarediseaseday.org/. Last week I posted our first two sponsors, Pampered Chef & Tupperware. Pampered Chef will donate 15% of all sales to the CFF when you "shop online" and select Erin Moore as your host. Tupperware will donate 40% of the sale of any of the items found through this link. Additionally, I am hosting a Pampered Chef party on Tuesday, March 8. Everyone is welcome - click here for the scoop. The next sponsor I am happy to announce is Tastefully Simple. If you haven't experienced Tastefully Simple before, you seriously need to for two reasons. First, its delicious. Second, its so super easy to make everything. I'll have tons of Tastefully Simple dips at the Pampered Chef party next Tuesday (you should come and taste them!). Consultant Alison Bailey is donating 15% of all sales for March and April to the CFF. Take a look at her online catalog by CLICKING HERE and if you place an online order, be sure to select "Erin Moore" as your host prior to check out so that Alison can add 15% of your order total to her donation to the CFF. Check out the celebrity coveted New Spring Line, enjoy apps and a glass of wine, and join us for some style! Stella and Dot can be seen in Lucky Magazine, InStyle, and O Magazine and on celebrities like Debra Messing, Giuliana Rancic, and Penelope Cruz--to namedrop a few. Designed in New York and San Francisco, the pieces are so irresistible and affordable, you'll be certain to find a little something special. Please feel free to add anyone to this evite or bring anyone along. Would love to shop but can't make the Trunk Show? Shop online! Go to: www.stelladot.com/michellewiegman, Click on" Find your Hostess", Enter Corey Best, Shop! Its that easy! The Fragrance-Free Satin Hands® Pampering Set is an easy, three-step system that helps keep hands feeling renewed, soothed and pampered.The set can be used on the entire body to keep your skin soft and hydrated. This set makes a great gift for teachers, co-workers, friends and family! To purchase the Satin Hands Pampering Set from Kristie, visit THIS LINK. Don't feel like you have to stop with Satin Hands! Mary Kay offers a ton of great products and Kristie is just the girl to help you figure out what's best for you! Next up is my invitation supplier of choice, A Touch of Whimsy! A Touch of Whimsy is a great online retailer of unique and personalized stationary. All of this fundraising is going to put me into bankruptcy because I truly love all of the places that are sponsoring us, and the fact that they're all donating a portion of sales to CF makes me just want to buy up all of their products! Back to A Touch of Whimsy.... I have gotten birthday invitations for both Ella and the babies from A Touch of Whimsy, as well as some personalized note cards and many Thank You notes. The owner of A Touch of Whimsy, Gina, is donating 15% of all sales to the CFF when you enter the promo code "drew" at checkout. But that's not all!! She will also take 10% off your order total!! Click HERE with caution - you're gonna go nuts with all of the great stuff they have to offer! And don't forget to enter "drew" as your promo code when you check out! Last but not least, honestly one of my favorite things of all time, Yankee Candle. Yankee Candle has a fundraising program that donates 40% of all sales to your organization. FORTY PERCENT!!! I know Yankee Candles aren't cheap, but they are oh so worth it. Truly the only candle I've ever owned that can make my house smell sooo good for sooo long. Candles make great gifts too! Easter and Mothers Day are right around the corner! The only neg thing about the Yankee Candle fundraiser is that you can't make purchases online. They do have an online catalog - Online Catalog - and if you're interested in anything, just shoot me a quick note - e.keeleymoore@gmail.com - with your order. You can mail me a check or use a credit card through PayPal. I thought it might be a pain, and if it were anyone else I might have passed on the fundraising opportunity. But between my love affair with Yankee Candle and the fact that they're offering 40% of all sales to the CFF, I had to go with it. So there you have it! Our 2011 online sponsors. Hopefully you can find something (or lots of somethings) that suit your fancy. And please help us out by spreading the word of these fundraisers! Also, before I forget, I assure you that there is nothing in this for me. I'm not getting tons of free products or earning points or whatever anyone might think. I am doing this solely raising money for Cystic Fibrosis. Any perks that a "host" of any of these types of parties would typically receive are going to be raffled off in May when we make our final push for our Great Strides Teams. The deal on all of these fundraisers will be available on the left hand side of my blog for the next two months. Please email me if you have any questions, comments or concerns. And happy shopping for a good cause! We got some great news on Friday. The culture they did at our visit last Monday came back showing nothing. NOTHING! No pseudomonas. No staph. No strep pneumonae. Nada. I'll take it! If I'm being honest, its not the greatest news in the world, because he is still on antibiotics, so the culture could have been skewed by that. However, what it does tell us is that the antibiotics that he is on are doings what they are supposed to be doing and nothing new and funky is growing in his precious little lungs. He still doesn't sound great and that something that drives me nuts when we go out in public (which, I might add, is rare). He just breathes really loud, like hes got a giant frog in his throat. People look and give you a little frown and step away simultaneously as if to say "That poor baby" and "Dear Lord I hope my kids don't catch whatever he's got!". I feel obliged to defend him but I often find myself biting my tongue so that I don't break into the whole "He's got CF, its a blah blah blah blah blah..." because they don't really get it, or care. I just got ANOTHER online sponsor willing to donate 40% of sales to CF and I'll be updating all of that info tonight, as the deals all begin on March 1. On an unrelated note, in 14 days I will have two 1yr olds. HOLY CRAP!!!! Excited to announce our first 2 sponsors! Today is "Thank You Thursday" for the Cystic Fibrosis Foundation. I made a bunch of phone calls thanking people for their fundraising and dedication to finding a cure for CF and it made me happy to make them so happy. Everyone was like wait, what? Just a "thank-you"? Yup! That's it! Not asking for any money. Not looking for any help or support. Just calling to say thanks. They appreciated it. It was nice and I hope to participate on an ongoing basis. I have some businesses who I have partnered with to raise some money for CF. Two of the fundraising campaigns begin right now! The first is Tupperware. I am working with a local Tupperware consultant named Karen Ellis. Karen introduced me to Tupperware's fundraising program, which offers 40% of your purchase back to our cause. FORTY PERCENT!!! There are about 30 fabulous Tupperware items to choose from that qualify for this donation amount. To take advantage of this great fundraising opportunity, follow THIS LINK. Karen was so moved by our story and efforts to raise money for Cystic Fibrosis that she has agreed to donate 15% of all sales to the CFF. If you don't see anything in the link above that strikes your fancy, then CLICK HERE to view the entire product catalog and make a purchase today. This is Karen's business and her personal profit that she is donating. I'm so grateful to be working with her and hope that you can find something that you like and support the CFF. The next online sponsor we're working with this year is Pampered Chef. Consultant Erika Sammond is hosting a "Cooking for a Cure" party at my house on Tuesday, March 8 (would love for you to attend!) and is also hosting an online party for March & April. She has agreed to donate 15% of all sales to CF. To view the online party, simply CLICK HERE and then follow the link to shop online. You will be prompted to find a host, where you will enter my name, Erin Moore. In case anyone thinks I'm hosting these parties for my own personal benefit, I wanted to let you know that for all donations received through my Great Strides Fundraising Page through the date of the walk (May 21), your name will be entered into a raffle to win some prizes, including (but not limited to) Tupperware and Pampered Chef free products earned. I have 3 more sponsors to announce next week. I hope that you can find something that you like and help to support the Cystic Fibrosis Foundation! Below is an article that came out today in the New York Times announcing the promising effects of a new drug to treat the effects of Cystic Fibrosis. This is HUGE people! Now, Drew doesn't have the G551D mutation (he's got DF508 and R560T), but CF mutations are grouped into classes according to what exactly is happening (or not happening) inside the cells causing the effects of CF. My hope is that this new drug will work on a number of mutations, including Drew's, or at the very least that his mutation falls into the same class of mutations as the one targeted by this new drug. I've said it before and I'll say it again, the Cystic Fibrosis Foundation relies on the support of individual and corporate donations alone. There is NO FEDERAL FUNDING for this disease. Your donations last year went toward funding research this year; the very research that has made these promising clinical trials possible. 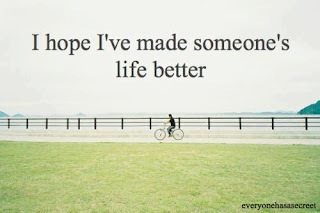 How awesome would be it to say that you were a part of finding the cure! Watch our video by CLICKING HERE. Share our video. 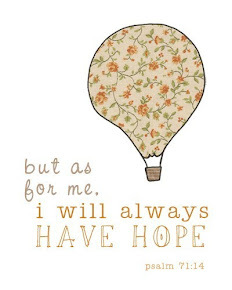 Spread our message of hope and help us find the cure by donating today. Read the article below for more information on the new drug, VX-770. The gene responsible for cystic fibrosis was discovered in 1989. Now, 22 years later, a drug that tries to correct the genetic defect might be nearing the market. Vertex Pharmaceuticals announced Wednesday morning that the drug, VX-770, improved lung function in people with cystic fibrosis in a late-stage clinical trial. The drug also reduced the frequency of disease exacerbations that required treatment with antibiotics. The caveat is that VX-770 is designed to counter one specific genetic mutation that accounts for about 4 percent of cases of cystic fibrosis. Vertex is working on another drug for the most common mutation, but that one is further behind in development. Still, the news is expected to be greeted favorably by doctors and patients and by Wall Street. “I’ve been doing clinical trial for 30 years in C.F. and these are amazing results,’’ Dr. Bonnie W. Ramsey, a lead investigator in the trial, said in an interview. Dr. Ramsey, a professor of pediatrics at the University of Washington, was briefed on the results by Vertex. The results were announced by a press release and have not been peer reviewed by experts. About 30,000 Americans and 70,000 people worldwide have cystic fibrosis, a disease caused by defects in a gene responsible for the transport of chloride ions across cell membranes. People with the disease tend to have very thick mucus in their lungs, which leads to infections and lung damage. Many do not live past age 40. Two inhaled antibiotics and one drug that loosens mucus are approved to treat cystic fibrosis, but nothing that directly improves chloride ion transport. In the trial, those who received VX-770 gained 10.6 percentage points more on a lung function test after 24 weeks than those getting a placebo, a difference that statistically was highly significant. Patients continued to take either drug or placebo for another 24 weeks and the improvement was sustained. Lung function, the primary endpoint of the trial, was measured by how much a person could exhale in one second, a standard test. Investors had been expecting around a 5 percentage point improvement. In a note to clients Tuesday evening, before the results were known, an analyst at ISI Group, Mark Schoenebaum, said that an improvement of 10 percent would be a “home run’’ that could lead to $600 million in annual sales for the drug. Dr. Ramsey, who has received research grants from Vertex, said that some patients could perceive a 10 percentage point change in lung function. She said other results of the trial were encouraging. These included fewer exacerbations of the disease in those who got the drug, fewer self-reported respiratory symptoms, and a gain in weight, which is good for people with cystic fibrosis, who often have digestive problems. The saltiness of their sweat — a measure used to diagnose the disease — was markedly reduced, suggesting that the drug was having an effect on chloride ion transport. The trial involved 161 people age 12 and older, all with at least one copy of the particular mutation, known as G551D. The main side effects, Vertex said, were headache, upper respiratory tract infections, nasal congestion, rash anddizziness. Vertex said it hoped to apply in the second half of the year for approval of VX-770 in the United States and Europe. The company is awaiting results of a second trial of the drug, this one in younger children. Vertex has not said how much it will charge for VX-770. But since there are only about 1,200 Americans who are candidates for the drug, the price is likely to be tens of thousands of dollars a year. Vertex, based in Cambridge, Mass., was founded in 1989, coincidentally the same year the cystic fibrosis gene was discovered. It has not yet had a big commercial success and had a $2.5 billion net loss in the last five years. The company is hoping that by late May it will win approval to sell a new type of drug for hepatitis C, which analysts expect will be a blockbuster. The long time needed to develop a drug for cystic fibrosis is a lesson for those expecting a quick payout from the sequencing of the human genome, which was completed a decade ago. It is not enough to know the gene behind a disease. It can take years of research to determine how a mutation actually causes a disease and then to design a drug that corrects the problem. Vertex received $75 million in financial support from the Cystic Fibrosis Foundation, one of the first nonprofit disease groups to give money to companies. Read the full CF Foundation news release. Read the news release from Vertex Pharmaceuticals, Inc.
Find out more about the VX-770 clinical trial results in these FAQs. We had a week of absolutely fantastic weather here in Cincinnati last week. We went to the zoo. We played outside for hours (yes, hours!) more than 1 day last week. Ella's class spent the entire morning outside at preschool. And today its raining a freezing rain. Seriously, WTF! The spring-like weather was invigorating. I had windows open in an effort to get all of the germs out of our house. Everyone is health-ish. Lily just wrapped up antibiotics for an ear infection. Drew finished up the Cipro (the oral antibiotic component in the fight against pseudomonas) and has 9 days left on the Tobi (the inhaled antibiotic component in the fight against pseudomonas). God-willing, we will be able to get rid of the pseudomonas. He would need several negative cultures in row to convince the docs that its gone. However, if he does test positive for it again, they won't necessarily immediately consider him "colonized", but he will go on a Tobi cycle. What that means is that he would take an oral antibiotic 3 days a week ongoing, and then do 28 days on Tobi and 28 days off Tobi and round and round until we would be able to get a negative culture, if ever again. I really really hope we can get rid of it for 2 reasons. First and foremost, its not good for him to have. Research has shown that the longer a person can go without pseudomonas in their airways the better their lung function tests are over the long term (meaning slower progression of lung disease). And the second and more selfish reason is that that darn Tobi takes almost 40 minutes to administer, and he gets that twice a day...after the 40 minutes of his other breathing treatments and airway clearance. In other CF news, I'm so excited for the next step in my Great Strides fundraising. I have 3 online sponsors who are donating a portion of their sales (and one even offering you a discount if you use promo code "drew"!) to the CFF. I'm talking with 3 other people too who I'm hoping will get on board and do the same thing. If you are reading this and have anything that you would like to offer toward my efforts, I will gladly and graciously accept! I have also found another CF mama who works for a place where I can get t-shirts made for the Great Strides walk at a very reasonable price. I'm volunteering for "Thank You Thursday's" with the CFF, making calls to large donors just to thank them for helping out. I think that's really exciting because I'm not calling them asking them for anything; I'm simply thanking them for helping in the search for a cure. And I think they will appreciate the thanks. I would! If anyone who reads this is interested in or knows of anyone who might be interested in helping out in any way, please don't hesitate to contact me. So many people ask me "How can I help!". If you don't want to walk, that's fine. I have so many other suggestions and ideas that range from subtle fundraisers where folks don't even realize they're helping out, to outright calling your friends and neighbors asking them what they can give. Just email me or call me or whatever. I love when people want to help. It warms my heart to know that so many people care about my boy. This has been a busy start to our week! Ella started dance class yesterday morning and loved it. Its only 30 minutes (thank heavens!) because that's about the exact length of time that the twins are willing to sit in the stroller without complaining. We got home and they went down for naps, and Ella and I played Zingo. I had a conference call scheduled with other national team leaders for Great Strides at 1pm and I figured I could just feed the kids lunch, put the call on mute and listen while they played. However, during the time of the call, I had 2 different gutter guys knock on the door to discuss estimates. First of all, they were both supposed to be there yesterday. And what are the chances of them both showing up, at the same time, when I'm also on a conference call! I think that I got the most out of everything though. By some stroke of luck, the kids all played mostly quietly while I was on the call. The first gutter guy was giving me his pitch while introductions were still going on in the call. I had the second guy doing his measuring while I was talking to #1, and he didn't have a whole lot to say that I hadn't just heard so we cut to the chase and got his quote, and I was able to go about my call. Another gutter guy came at 4pm and was here until 5:40!!! Who knew someone had that much to say about gutters! Thank you sir, but please get out of my house. I have more important things to do. I just have to say that hearing from other CF families is so inspiring for me. Some of these Great Strides teams raise hundreds and thousands of dollars every year for CF research. Others talked about the challenges of managing such huge campaigns while being a CF caregiver, because we all know that the passion of a CF parent to fund and find a cure is unparalleled. I could relate. I loved hearing all of their fundraising ideas as they ranged so far and wide. I wish I could do it all, I really really do. You may recall this post about the Celebrity Waiters event and how put off I was by the lack of genuine care and concern about CF. People were there to rub elbows with other rich people and lost sight of the reason we were there in the first place. On the call today, one man made a good point. CF will never mean as much to many people as it does to you or I. Walking in Great Strides or making a donation toward Great Strides may not be for everyone, and I get that. The key is to find what it is that people will do, will enjoy and will contribute to either directly or indirectly. Every year, they have a St. Patricks Day party, because who doesn't love to drink?! They charge $75pp, they have food and drinks donated, the have bands and friends and fun, and they raise a BOATLOAD of money for CF. This year, they have over 500 people attending! That's over $37,000!!! ($37,500 to be exact!) Others are big into getting corporate donations, recruiting walkers to help raise $ (kind of like the pyramid marketing schemes, only in a good way) or doing letter mailing campaigns. People who have school age children do a lot of work with schools to raise money. One man has been working on getting corporate sponsorships from places like Papa John's, where a portion of all sales nationwide get donated to CF. Its incredible what people are doing! I need to spend more time talking to the people doing this so that I can broaden my reach. I'll keep doing whatever I need to, whatever I can, to raise money for CF. You might not have time this year to walk, or the time or desire to host a fundraiser or any other type of event to raise awareness and support for CF. I don't have the time either. But I have the desire to have Drew around forever. I know that to ensure that CF doesn't win in our family, I need to make the time. I got an email today with something in it that I wanted to share - "No matter how tired, discouraged, or overwhelmed, sad, or mad you might feel one moment, you will feel like a brand new brave girl after reaching out to another in kindness and generosity". How very very true. I've learned so much this past year and I think that I am a more kind because of it, and for that I will be forever grateful. And as for the gutters, I'm probably more confused now than I was before talking to the 3 men who took up way to much of my time yesterday. Our campaign is still going strong. Help us out by donating today!! The twins are 11mo. old tomorrow. ELEVEN MONTHS OLD! I mean I know time flies when you're having fun, but this is ridiculous. I feel like I blinked and it just happened. This was officially the fastest year of my life. They are still my babies, but they're going to be 1 in just one short month, and I can't believe it. I had a really nice weekend. My parents were in town which allowed me some time to get out, run errands, drink a little more wine than I should without fearing the 7am wakeup call. I got out of the house by myself on Friday, with Martin on Saturday, and with the whole family on Sunday. The weather was a lot nicer than it has been and it gave that glimmer of hope that, despite all signs pointing to it, this winter isn't actually going to last forever. We're about a week and a half into our fight against pseudomonas and I like to think we're winning. Drew is starting to sound a little better. He sure doesn't like the Tobi one bit, as it takes 30+ minutes to administer AFTER he completes the other 45min of breathing treatments and airway clearance. It puts a wrench in our plans some days when we want to try to get out of the house. Hopefully we won't be on it forever, so we're dealing. Lily has an ear infection now and is on antibiotics too. I swear that our insurance is investigating ways to boot us legally. Great Strides fundraising is going well. There was a wave at the beginning which had me elated. I've put lots of energy behind this and am doing a few new things at a time. I have a few online sponsors now who I will announce at the beginning of March who are willing to donate a portion of their sales to Drew and Great Strides. I'm very excited about that. I'm also about to launch my mailing campaign. I'm realistically hoping for a 10% response rate this year, though I don't want to limit that. I secretly hope its 100%! Its supposed to be 60 here on Friday. I'm trying to talk Martin into taking the day off and going to the zoo with me and the kids. He has off next Monday for Presidents Day so it would make for a great long weekend for our family. That's all I have for tonight. Still love seeing donations and support for our team, so if you're interested in watching our video again or making a donation, its as easy as clicking right HERE. Its no wonder Drew isn't really crawling yet. I'm not terribly concerned about it, but I wish he was. He's getting frustrated that the girls get all the toys they want and he just has to sit there and yell until someone pays him enough attention to get him whatever he's yelling for. If we could just let him be, I'm certain that he'd be exactly where Lily is and i'd be complaining about having to run in three different directions instead of just 2. But I can't just let him be. Let me tell you what our days have looked like since probably about October. Everyone wakes up around 8am. We eat breakfast and bottles until 8:30. At that time, Sesame Street gets turned on and Drew gets all set up for his breathing treatments and morning airway clearance. This goes on until about 10, especially now that we are on Tobi which you aren't supposed to give until the airway clearance and all other meds are complete. 10am is naptime. If things go well, the babies wake up between 11:30-noon and eat lunch & bottles. This takes us until about 12:30. After a solid half hour of "play", its time for afternoon airway clearance and breathing treatments. These don't take quite as long because there are fewer meds. Naptime again from 2-4, this time for Ella too. I have about 2 hours to clean up from breakfast and lunch, and get in 1 other activity (today, blogging) before someone is up and ready for a bottle. From 4-6 there is nothing scheduled. Okay, let me rephrase. The only thing scheduled is "play" time with Drew where I try to build up some of his strength by helping him to stand behind a ball or go from sitting to standing or laying to sitting. He doesn't love it, but he needs to learn how to do it. And if I always baby him and do it for him, he'll never learn. So we work on it. Around 6pm, when Martin gets home from work, its time for dinner which I've either made during naptime or am pulling out of the fridge and reheating from the night before. At 6:30, Martin takes the girls to play and its time for Drew's evening breathing treatments and airway clearance. If we don't start by 6:30 there's no chance of being fed and in bed by 8. As long as the treatments are done by 7:30, we can get bottles and meds ready and administered, baths given if someone is smelling a little funky, and 3 little people all tucked in for a good nights sleep. I know I've posted this story before. Its a fairly tight schedule, especially when he's "sick" and they want us to do the breathing treatments and airway clearance 3-4 times a day vs. the standard 2. We've been doing it 3 times a day since October, going up to 4 or more when he is really sick and not breathing well. We're hoping that with the end of the cold and flu season approaching that we'll be able to get back to 2 times a day. I don't know what we'll do with all of our free time! I don't know if I put on the blog that Drew was having another bronchoscopy or not. Regardless, he had one on Tuesday. The doctors thought that it looked as though his malacia had improved a little bit. 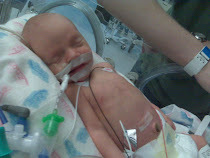 His lungs still look "funny" but they are hopeful that with time they will grow and develop into normal looking lungs. They did a culture of some mucus they got from way down in the lower airways and we just got a call today that he's growing Pseudomonas. UGH!!! Pseudomonas is a bacteria often found in the lungs of CF people. It thrives in the warm, damp environment that the mucus in the lungs of CF kids creates. Unlike staph, for example, its incredibly hard to get rid of. Its the #1 cause of decreased lung function in CF patients. Our doctors said that they treat Pseudomonas very aggressively in babies to attempt to eradicate it before it colonizes in the lungs. Drew will be on an oral antibiotics for 2 weeks and an inhaled antibiotic (Tobi) for 28 days. At the end of the 28 days they will re-culture his mucus to see if they got it. I think that patients are often put on a Tobi schedule of 28 days on, 28 days off, 28 days on. I'm not sure if that will be the case for us or not. I guess we'll see how this goes. All of the past cultures done on Drew have only shown Staph, which I guess is what I was expecting. I use to say "only staph" with hesitation, as staph in the lungs doesn't sound like something good. But I learned that staph in the lungs of CF people is normal, and its not a problem unless its flaring up, at which point it can usually be treated with an oral antibiotic. I did not/do not want Pseudomonas in Drew's lungs. I know I am beating a dead horse, but Cystic Fibrosis is not a federally funded disease. That means that the only research being done on new drugs and treatments to improve the quality of life for and cure this horrible disease is being funded by YOU AND ME! More now than ever I need your support. I've asked for help. I've opened my heart to you. And hearing today that Drew has Pseudomonas broke me down. The first new inhaled antibiotic to treat these chronic and resistant lung infections was discovered by research funded by YOU AND ME. There are two investigational studies currently going on that aim to correct the basic defect of CF - funded by none other than YOU AND ME. A total of eight promising CF therapies are currently in Phase 3 trials, the final stage of clinical testing. Any one of these therapies -- or a combination -- could have a profound impact on the lives of those with CF. None of these would be possible without your support and donations. Donate to our Great Strides team by clicking HERE. If you can only spare $5, we will appreciate your $5. If you can spare $500, we will appreciate that too. Ask your company if they are willing to support Cystic Fibrosis by offering matching gifts on donations, or by making a corporate donation. You never know how many people you can reach until you ask. The worst they can say is no. Say a prayer for little Drew. He needs it. And if you have one to spare, I could probably use one too.